Whatever your level of dental experience, area of expertise, background or ambition, you can rest assured that here at mydentist, we’ll have an opportunity to suit you. As Europe’s leading and largest dental care provider, our size and scope mean we’ve 600+ practices for you to choose from. Each offering the intimacy and family feel of an independent, together with the scale, equipment and technology of a large state-of-the-art organisation. 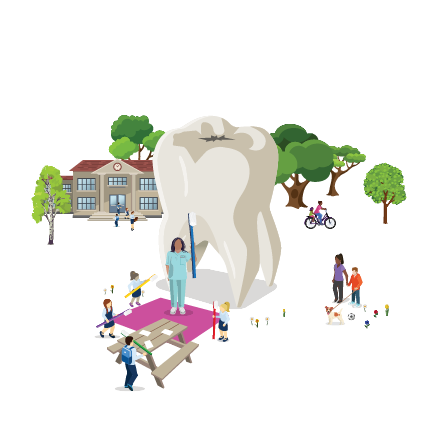 What’s more, the support of a wide clinical peer network and expert practice team, means you can focus on putting your patients first, developing yourself and truly becoming the dentist or specialist you always wanted to be. Discover how you could be the Dentist you always wanted to be with us. Whatever stage you’re at in your career and wherever you've qualified, we can offer you more of what you’re looking for. Start as you mean to go on, with great support, fab facilities and a truly rewarding career. Plenty of variety, security and working patterns to suit your life and needs. Find all this and more here. Discover the time, space, investment and opportunity to focus on your area of interest and develop your knowledge and expertise. Join our community of healthcare professionals in a flexible role that offers lots of benefits.